Do you want 2019 to be extra special? 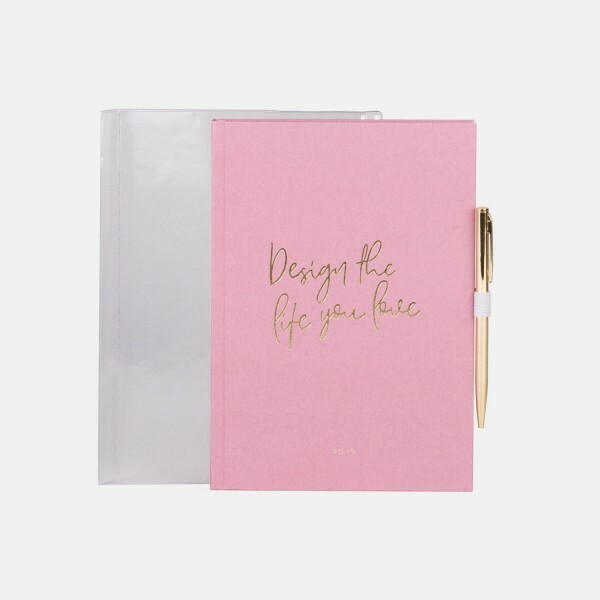 Perfect – our pink A5 calendar with a protective cover, the golden ball pen and the pen loop are here to help! This set is filled with golden highlights and feminine designs and will keep your big and small projects for 2019 neatly organized while the protective cover makes sure that no raindrops or coffee-spills will harm your calendar.